The jury of the 59th annual World Press Photo Contest has selected an image by Australian photographer, Warren Richardson, as World Press Photo of the Year 2016. Warren Richardson, Australia, 2015, Hope for a New Life . A man passes a baby through the fence at the Serbia/Hungary border in Röszke, Hungary, 28 August 2015. “Hope for New Life” is a breathtaking insight, epitomizing the human drama of the ongoing migrant crisis gripping Europe. 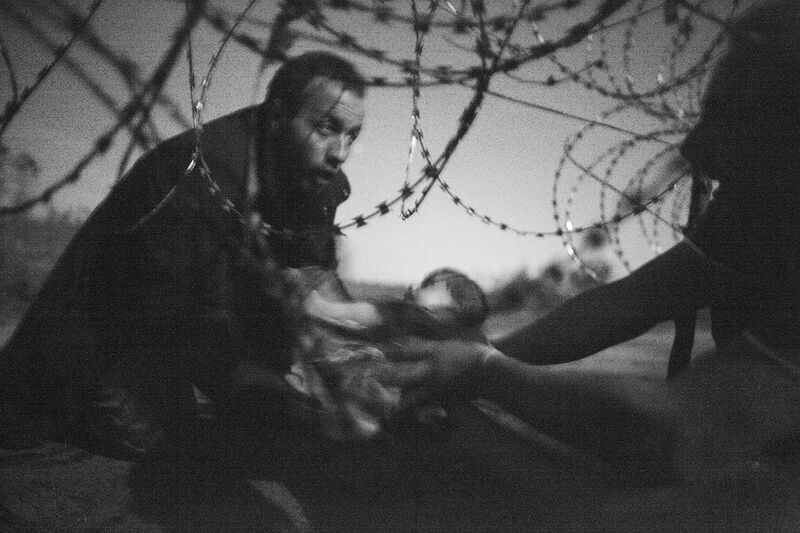 It captures the intense moment a young man delicately passes an infant under a razor sharp, barbed wire fence. Shot at the Serbo-Hungarian border, with its subtle black and white tonality, the photograph is an instant icon, a synthesis of the plight and flight of millions fleeing unprecedented horrors. 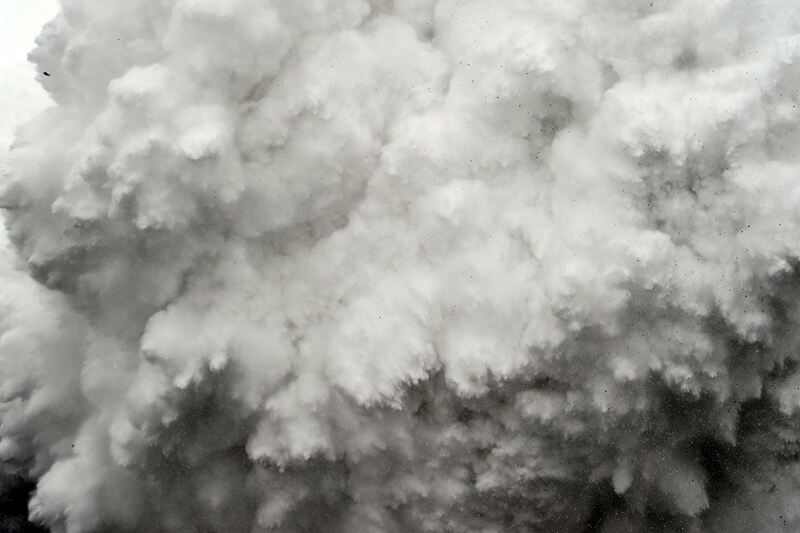 See the winning images that principally explore war zone conflicts, and natural- and man-made disasters, from across the globe. 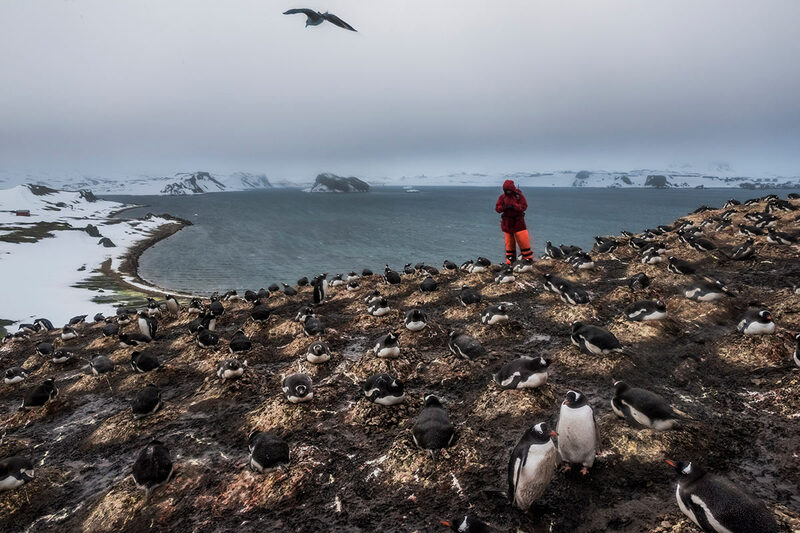 While the powerful glory of nature and daily life find their place in this year’s contest, human drama is the most prevelent theme in near every category. 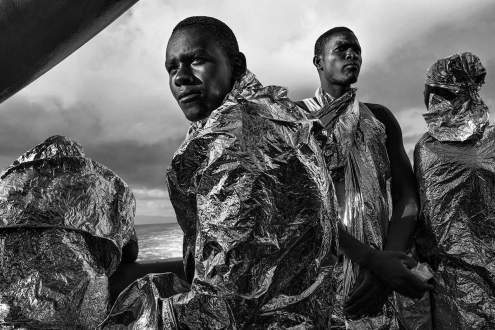 The awarded photographs shine an intense light on well- to lesser known issues that range from the Syrian conflict, to bombs in the mountains of Sudan, from pollution and disaster in China to the blood covered streets of South America. General News, 1st prize singles. 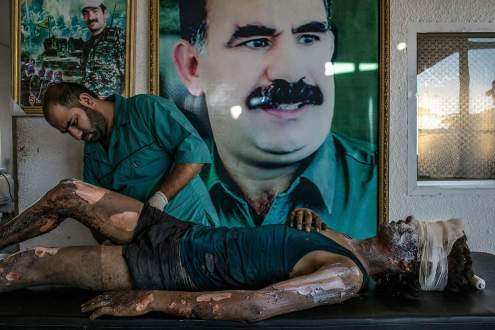 Mauricio Lima, Brazil, 2015 for The New York Times, IS Fighter Treated at Kurdish Hospital A doctor rubs ointment on the burns of a 16-year-old Islamic State fighter named Jacob in front of a poster of Abdullah Ocalan, the jailed leader of the Kurdistan Workers’ Party, at a Y.P.G. hospital compound on the outskirts of Hasaka, Syria on 01 August 2015. General News, 2nd prize singles. Paul Hansen, Sweden, 2015, Dagens Nyheter, Under the Cover of Darkness Refugees travel in darkness through Europe to avoid detection; Lesbos, Greece, 06 December 2015. General News, 3rd prize singles . 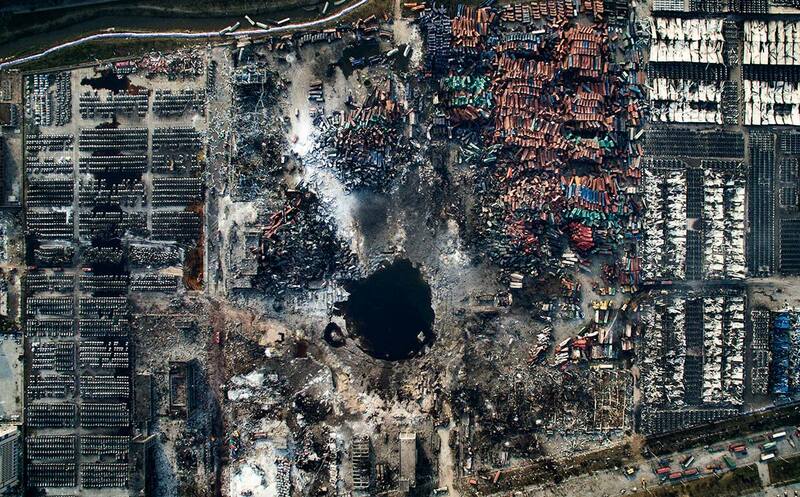 Chen Jie, China, 2015, Tianjin Explosion Aerial view of the destruction after the explosion in Tianjin, China, 15 August 2015. General News, 1st prize stories – photo 1. Sergey Ponomarev, Russia, 2015, for The New York Times. Refugees arrive by boat near the village of Skala on Lesbos, Greece, 16 November 2015. 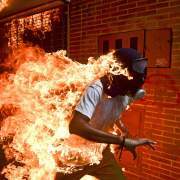 General News, 2nd prize stories – photo 3. 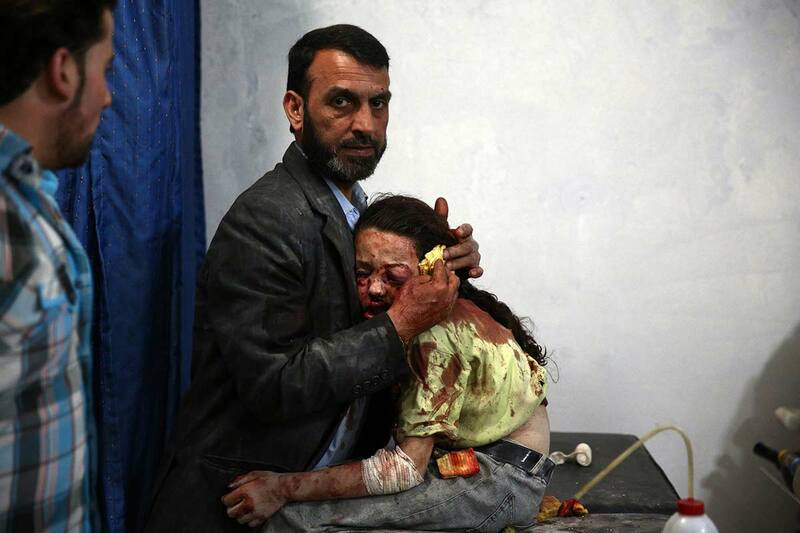 Abd Doumany, Syria, 2015, Agence France-Presse A wounded Syrian girl holds on to a relative as she awaits treatment by doctors at a makeshift hospital in Douma, Syria, 11 May 2015. 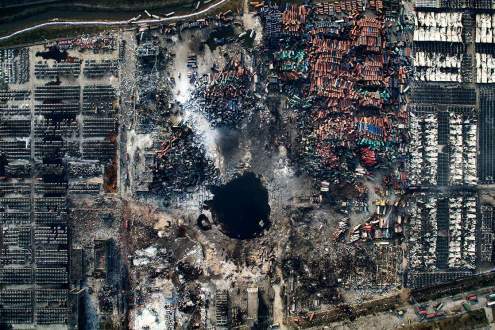 General News, 3rd prize stories – photo 1. 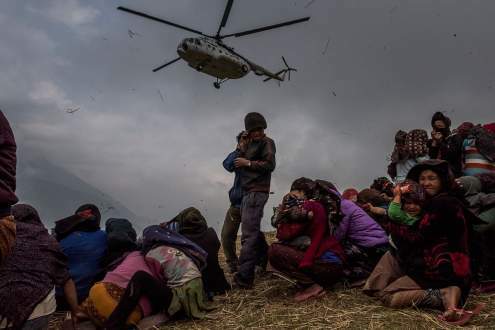 Daniel Berehulak, Australia, 2015, for The New York Times Nepalese villages watch a helicopter picking up a medical team, dropping aid at the edge of a makeshift landing zone in Gumda, Nepal, 09 May 2015. Spot News, 2nd prize singles Corentin Fohlen, France, 2015, March Against Terrorism in Paris Demonstration against terrorism in Paris, after a series of five attacks occurred across the Île-de-France region, beginning at the headquarters for satirical newspaper Charlie Hebdo. 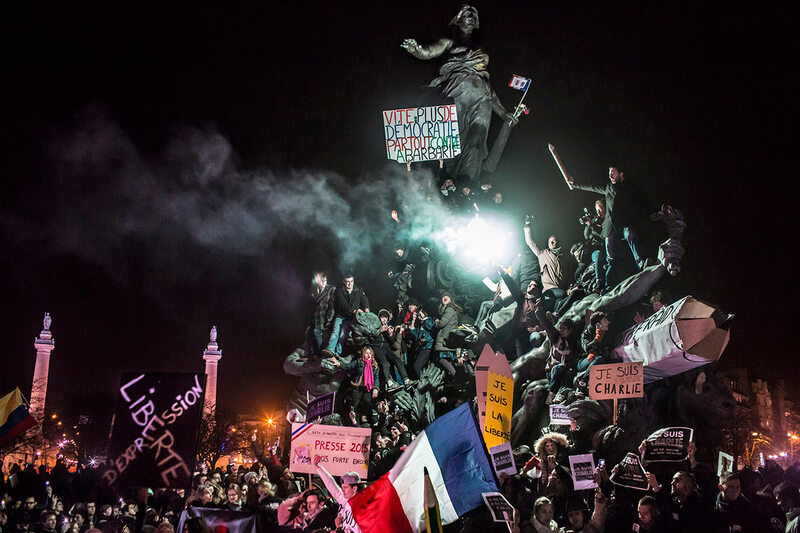 Paris, France, 11 January 2015. Spot News, 3rd prize singles. 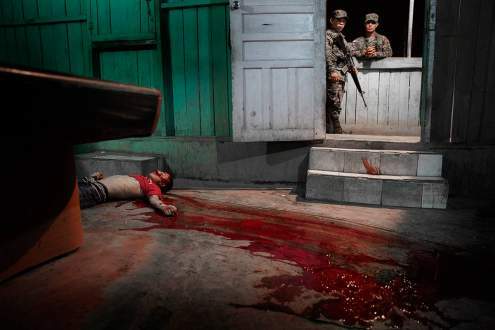 Niclas Hammarström, Sweden, 2015, Gang-related Violence. The body of a victim killed in gang-related violence. This is the fourth gang related killing on the same street in one night. Police have no witnesses. San Pedro Sula, 4 March 2015. Spot News, 1st prize stories – photo 1. Sameer Al-Doumy, Syria, 2015, Agence France-Presse. 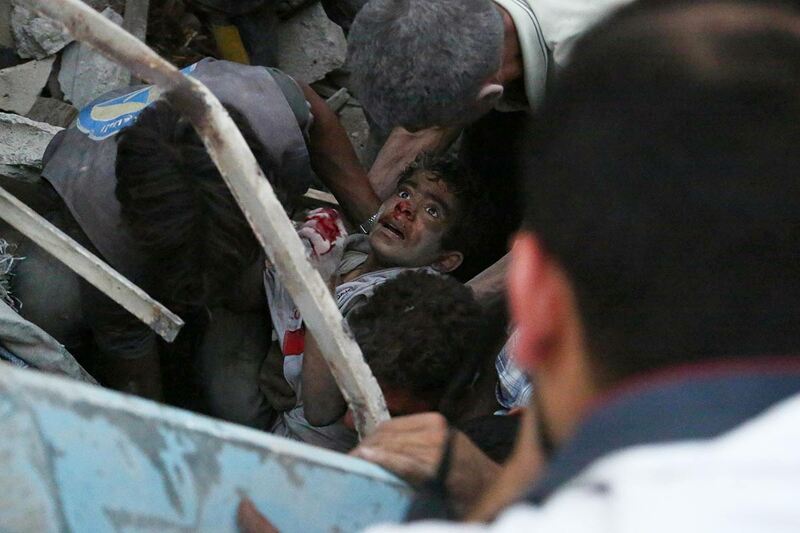 A boy is evacuated from rubble following reported airstrikes in the city of Douma, Syria, 16 June 2015. 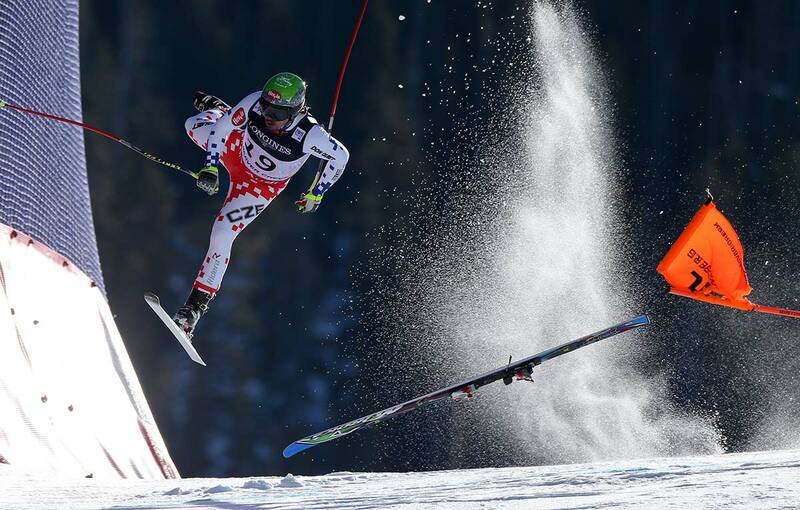 Spot News, 3rd prize stories – photo 2. Bulent Kilic, Turkey, 2015, Agence France-Presse. 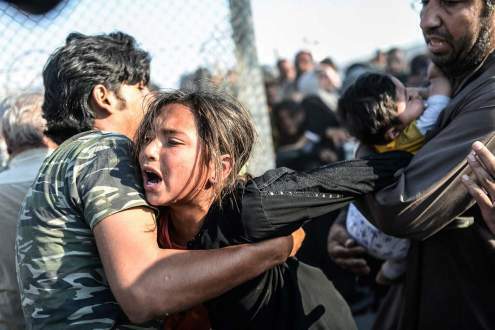 A refugee man holds a crying girl as others rush through broken down border fences to enter Turkish territory; Sanliurfa, Turkey, 14 June 2015. Sports, 2nd prize singles. 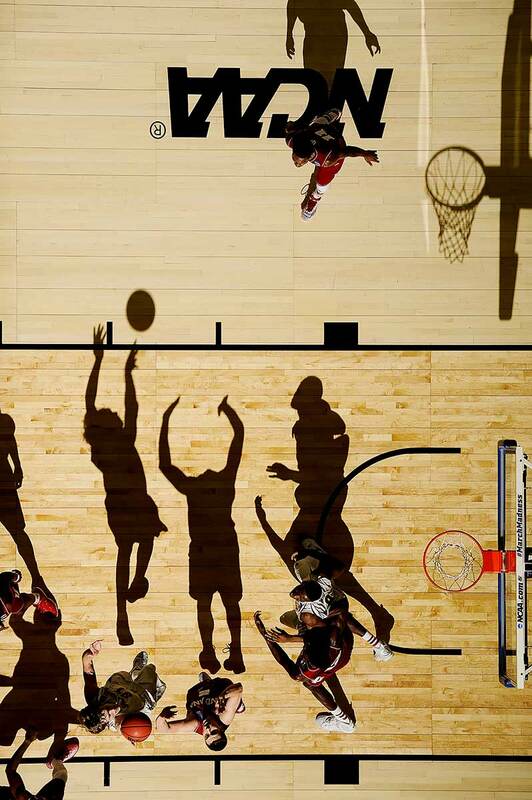 Greg Nelson, USA, 2015, for Sports Illustrated, 2015 NCAA Tournament. During the National Collegiate Athletic Association (NCAA) 2015 Mens Basketball Tournament game with Wichita State vs. Indiana, Ron Baker shoots over Nick Zeisloft whilst Hanner Mosquera-Perea and Rashard Kelly battle for position at the CenturyLink Center in Omaha, Nebraska, USA, on 20 March 2015. Sports, 1st prize stories – photo 3. 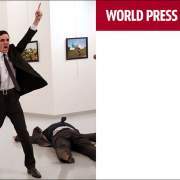 Vladimir Pesnya, Russia, 2015, Sputnik. 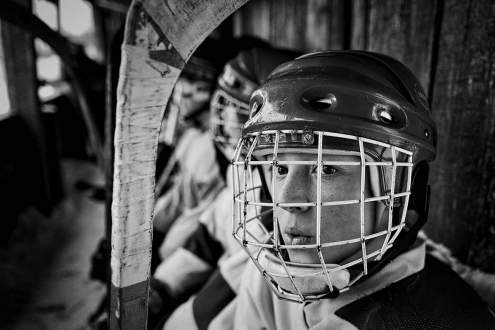 A player from the junior team from the village Sharanga is expected to yield to the ice in Vetluga, Russia, 19 Feruary 2015. 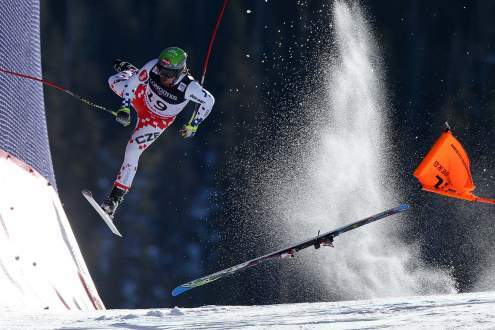 Sports, 2nd prize stories – photo 3. Christian Bobst, Switzerland, 2015. 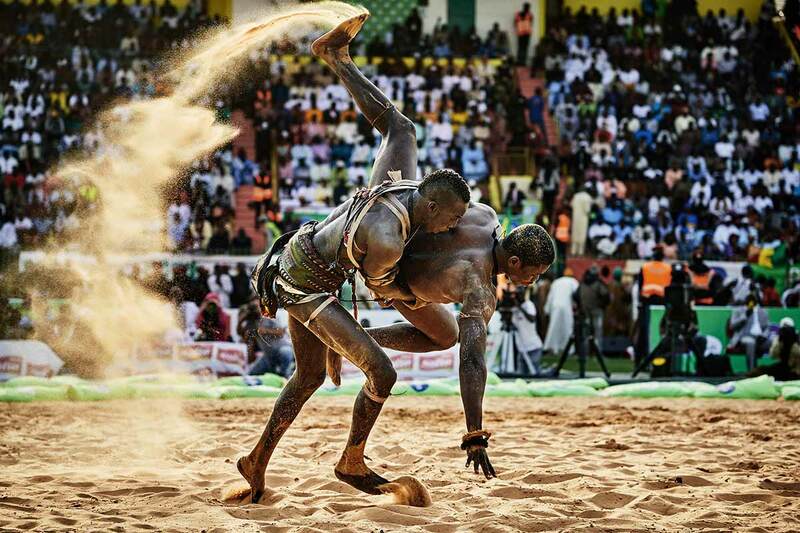 BB Bisma Ndoye defeats the wrestler Maraka Dji in the Demba Diop stadium in Dakar, Sierra Leone, 05 April 2015. 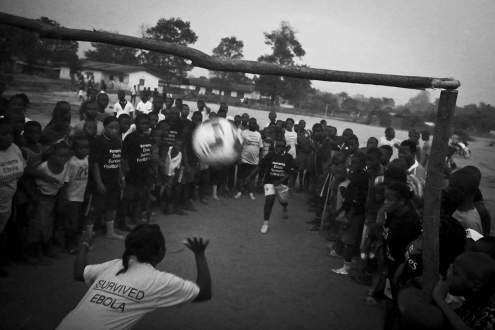 Sports, 3rd prize stories – photo 4 Tara Todras-Whitehill, USA, 2015, Vignette Interactive Prison Turây, centre right, helps referee a practice game with female members of the Ebola Survivors Football Club in the city of Kerema, Sierra Leone, 21 April 2015. 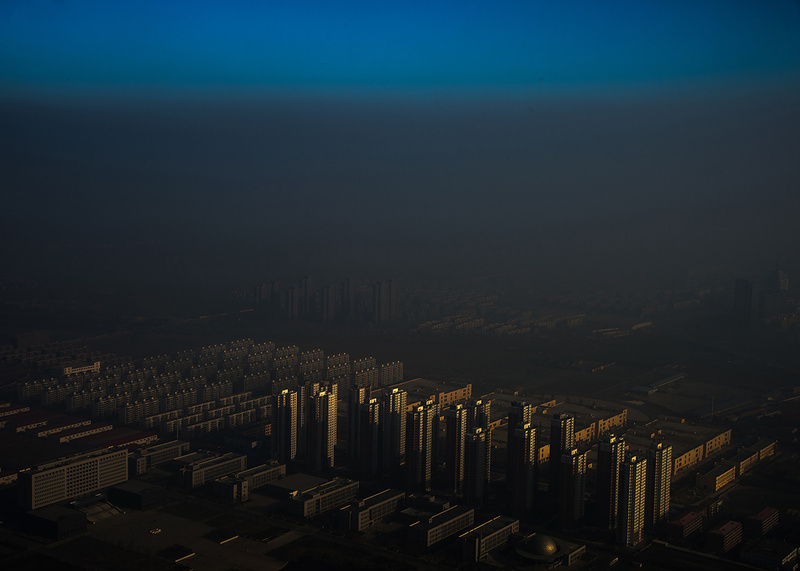 Contemporary Issues, 1st prize singles Zhang Lei, China, 2015, Tianjin Daily, Haze in China A city in northern China shrouded in haze, Tianjin, China, 10 December 2015. Contemporary Issues, 2nd prize singles. 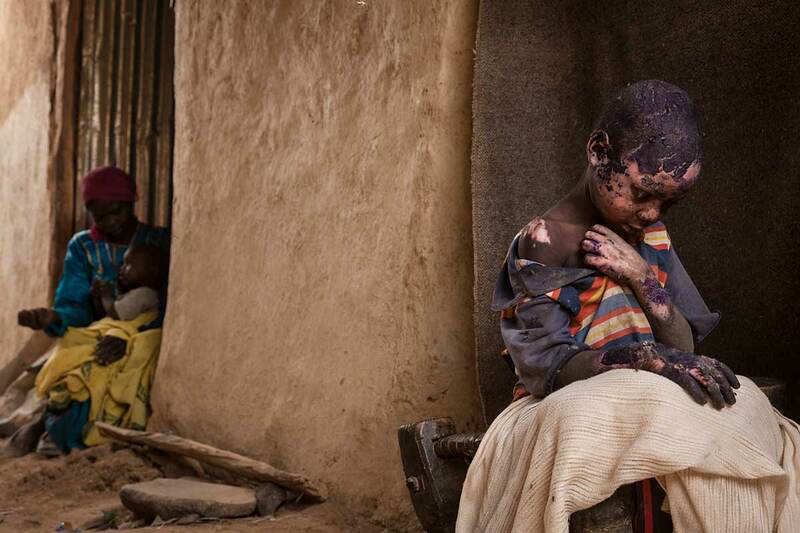 Adriane Ohanesian, USA, 2015, The Forgotten Mountains of Sudan. Adam Abdel, 7, was severely burned after a bomb was dropped by a Sudanese government Antonov plane next to his family home in Burgu, Central Darfur, Sudan. 27 February 2015. Contemporary Issues, 3rd prize singles. 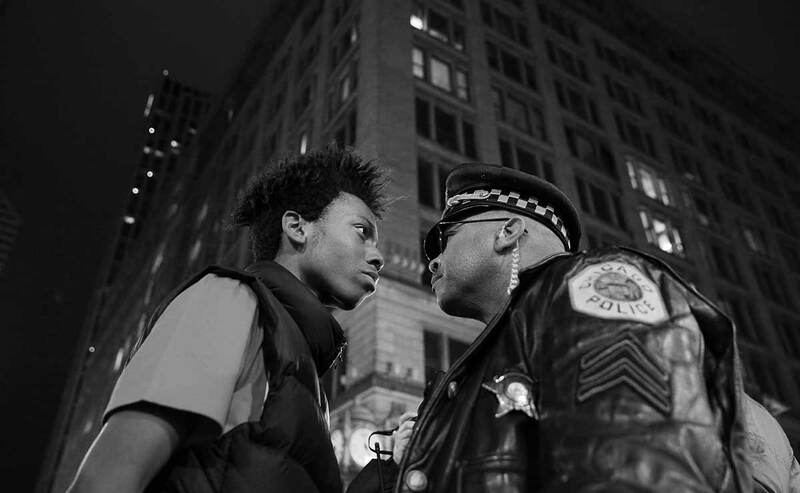 John J. Kim, USA, 2015, Chicago Tribune, March Against Police Violence. 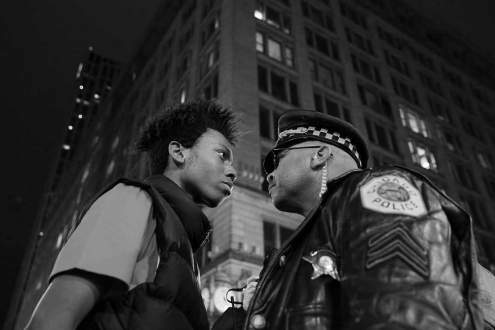 Lamon Reccord stares down a police sergeant during a protest following the fatal shooting of Laquan McDonald by police in Chicago, Illinois, USA, 25 November 2015. 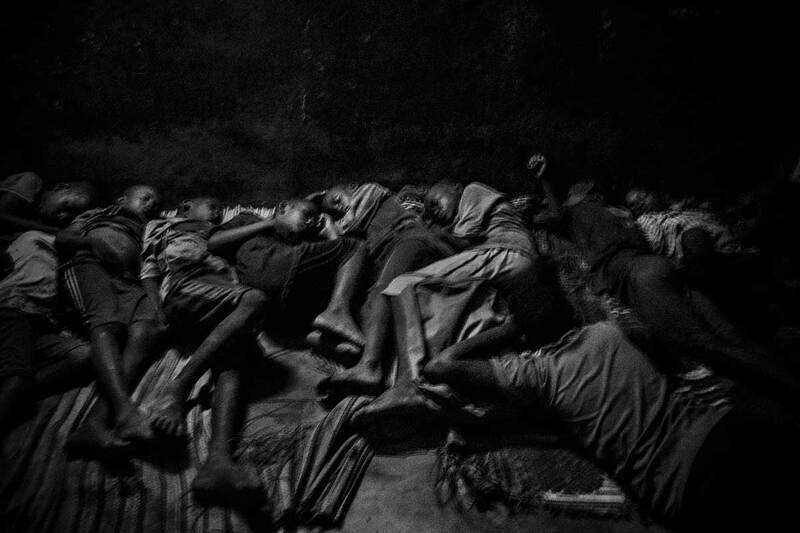 Contemporary Issues, 2nd prize stories – photo 3. Francesco Zizola, Italy, 2015, Noor. Migrants wrapped in emergency blankets two days after being rescued catch sight of the Italian coast for the first time; Strait of Sicily, Mediterranean Sea, 23 August 2015. Contemporary Issues, 3rd prize stories – photo 4. Sara Naomi Lewkowicz, USA, 2015. Emily rubs sleep out of her eyes while feeding Reid, as Kate holds Eddie during a late-night feeding. Maplewood, New Jersey, USA, 30 December 2015. Daily Life, 1st prize singles. 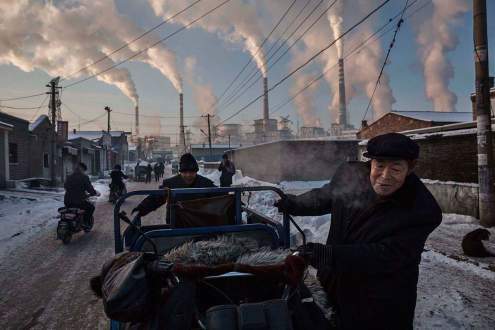 Kevin Frayer, Canada, 2015, Getty Images, China’s Coal Addiction. Chinese men pull a tricycle in a neighborhood next to a coal-fired power plant in Shanxi, China, on 26 November 2015. 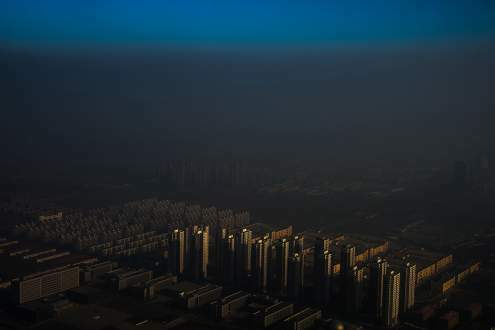 A history of heavy dependence on burning coal for energy has made China the source of nearly a third of the world’s total carbon dioxide (CO2) emissions, the toxic pollutants widely cited by scientists and environmentalists as the primary cause of global warming. Daily Life, 2nd prize singles. 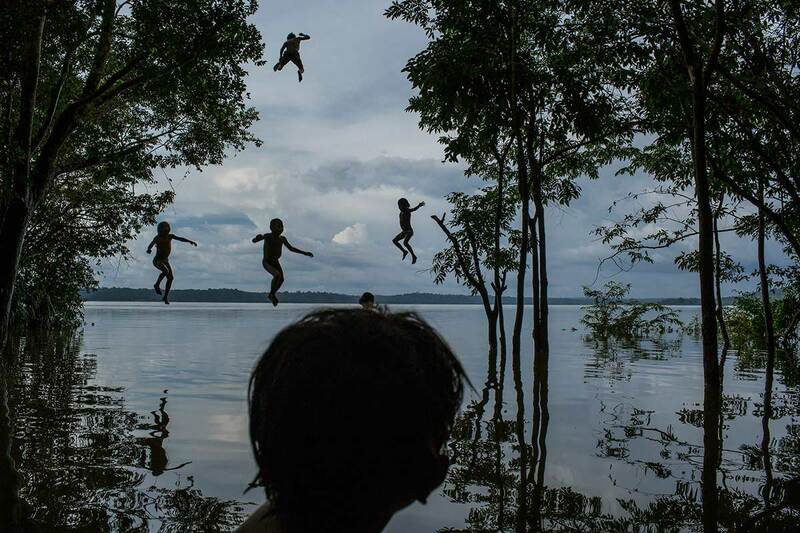 Mauricio Lima, Brazil, 2015, for The New York Times, Amazon’s Munduruku Tribe. 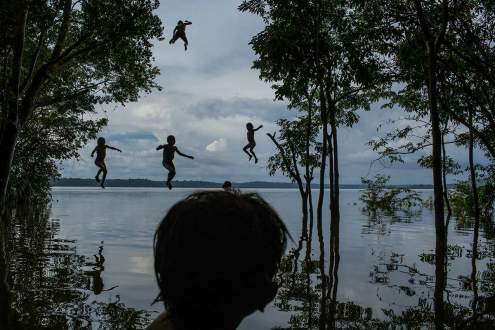 Indigenous Munduruku children play in the Tapajos river in the tribal area of Sawre Muybu, Itaituba, Brazil on 10 February 2015. 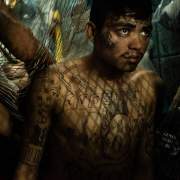 The tribesmen of the Munduruku, who for centuries have sanctified the Tapajos River on which their villages sit, are fighting for survival. Brazil’s government plans to flood much of their land to build a $9.9 billion hydroelectric dam, the Sao Luiz do Tapajos, as part of a wider energy strategy across the Amazon rainforest. Daily Life, 1st prize stories – photo 3. Daniel Berehulak, Australia, 2015, for The New York Times. A member of a German research team counts the number of penguin species and pairs as part of ongoing research on bird and penguin species in Antarctica; Fildes Bay, Antartica, 07 December 2015. Daily Life, 3rd prize stories – photo 2. Sebastián Liste, Spain, 2015, Noor. 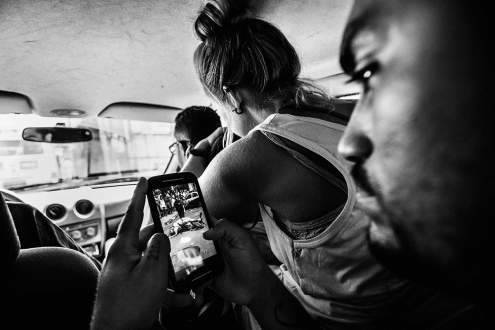 The leader of the Papo Reto collective receives an image of a 22-year-old taxi driver who was shot dead by a police officer; Rio de Janeiro, Brazil, 08 February 2015. People, 1st prize singles. Matic Zorman, Slovenia, 2015, Waiting to Register. A child is covered with a raincoat while she waits in line to register at a refugee camp in Preševo, Serbia, 07 October 2015. People, 3rd prize singles. Dario Mitidieri, Italy, 2015, Lost Family Portraits. 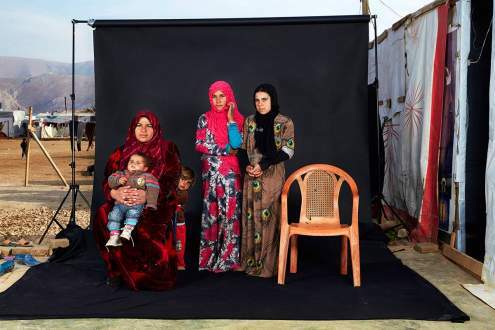 Portrait of a Syrian refugee family in a camp in Bekaa Valley, Lebanon, on 15 December 2015. The empty chair in the photograph represents a family member who has either died in the war or whose whereabouts are unknown. Nature, 1st prize singles. 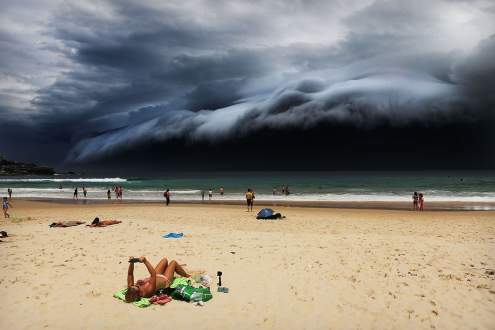 Rohan Kelly, Australia, 2015, Daily Telegraph, Storm Front on Bondi Beach. A massive ‘cloud tsunami’ looms over Sydney as a sunbather reads, oblivious to the approaching cloud on Bondi Beach, Sydney, Australia on 06 November 2015. Nature, 2nd prize singles. Anuar Patjane Floriuk, Mexico, 2015, Whale Whisperers. 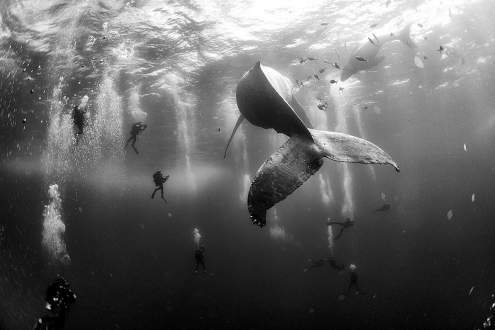 Divers observe and surround a humpback whale and her newborn calf whilst they swim around Roca Partida in the Revillagigedo Islands, Mexico, 28 January 2015. Nature, 3rd prize singles. 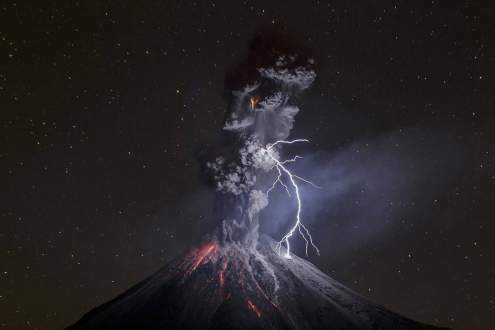 Sergio Tapiro, Mexico, 2015, The Power of Nature. Colima Volcano in Mexico shows a powerful night explosion with lightning, ballistic projectiles and incandescent rockfalls; image taken in the Comala municipality in Colima, Mexico, 13 December 2015. 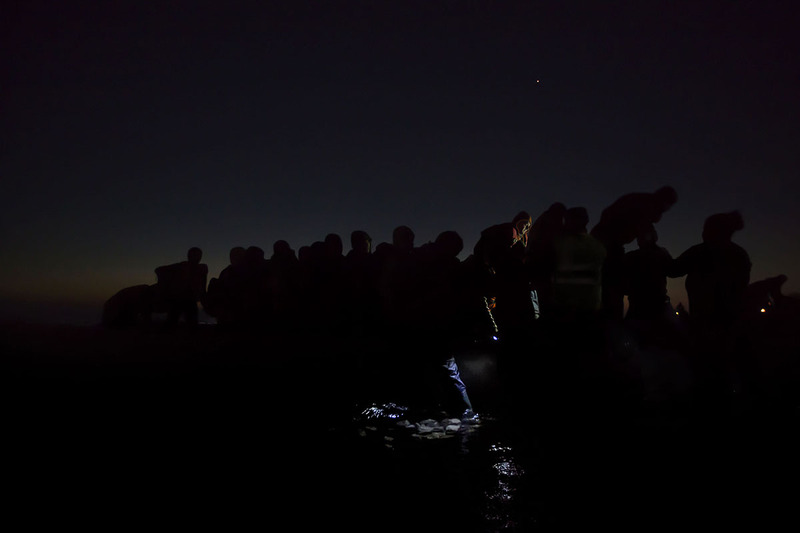 Richardson’s picture–which also won first prize in the Spot News category–shows refugees crossing the border from Serbia into Hungary, near Horgoš (Serbia) and Röszke (Hungary). Taken at night on 28 August 2015, this man and child were part of the movement of people seeking to cross into Hungary before a secure fence on the border was completed. Early on we looked at this photo and we knew it was an important one. It had such power because of its simplicity, especially the symbolism of the barbed wire. We thought it had almost everything in there to give a strong visual of what’s happening with the refugees. 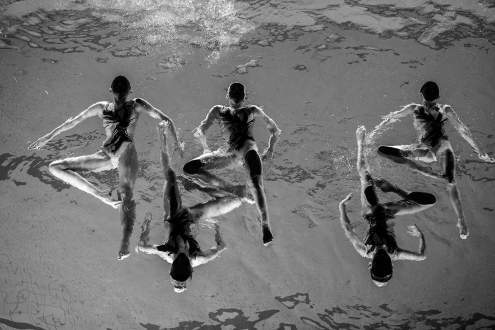 I think it’s a very classical photo, and at the same time it’s timeless. 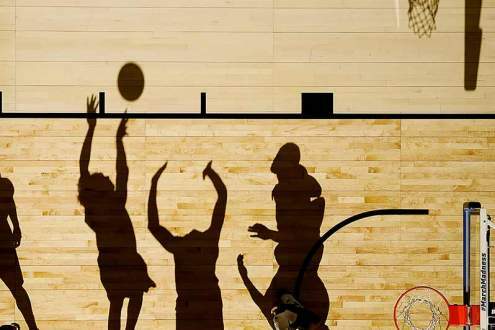 It portrays a situation, but the way it’s done is classic in the greatest sense of the word. It’s a haunting image. You see the anxiousness and the tension in such a mood which is pretty different from those in-your-face images. It’s subtle, and shows the emotion and the real feeling from the deep heart of a father just trying to hand over his baby to the world he was longing to be in. This is really something. 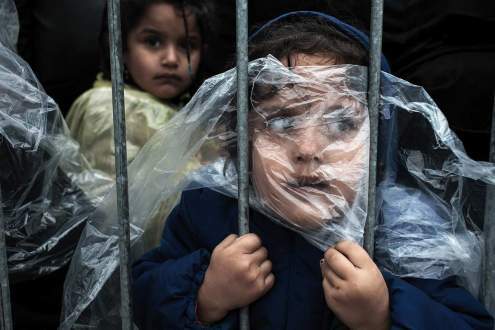 This is an incredible image from the refugee crisis of 2015. It’s incredibly powerful visually, but it’s also very nuanced. 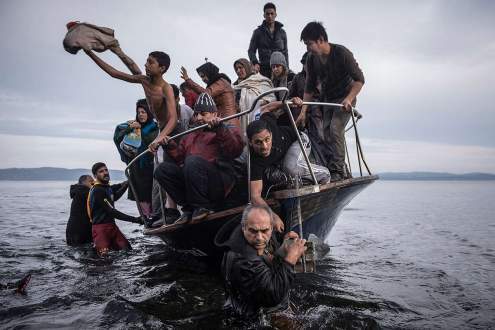 We’ve seen thousands of images of migrants in every form of their journey, but this image really caught my eye. It causes you to stop and consider the man’s face, consider the child. You see the sharpness of the barbed wire and the hands reaching out from the darkness. This isn’t the end of a journey, but the completion of one stage of a very long future. And so, for me, this had to be the photo of the year. 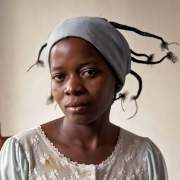 A group of 18 internationally recognized professionals in the fields of photojournalism and documentary photography from 16 countries—chaired this year by Francis Kohn—convened in Amsterdam beginning on 1 February to judge all entries. 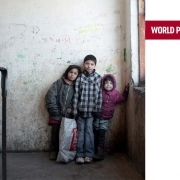 The World Press Photo Foundation will release a technical report reviewing the contest, including the code of ethics, entry rules, and verification process on Monday, 29 February 2016.